Fraiche Yogurt is a small chain of boutique establishments in the San Francisco Bay Area serving up nutritious food, including artisanal frozen yogurt; raw juices & smoothies; sweet & savory snacks; and other freshly prepared treats. One of its five Bay Area locations is situated in Terminal 3 of San Francisco International Airport. 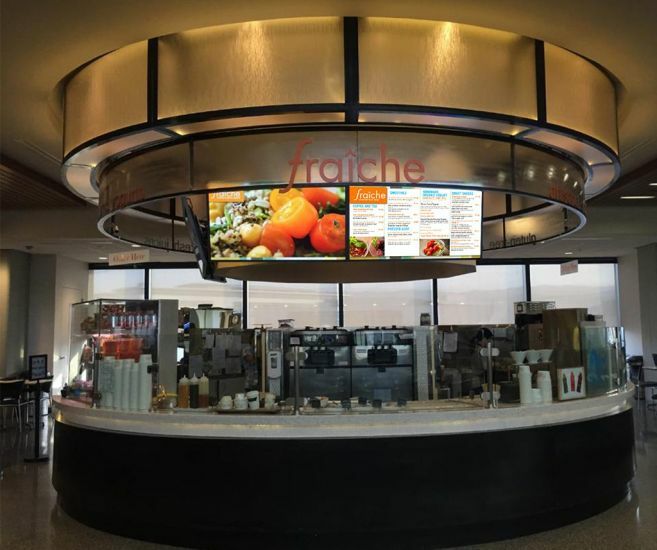 Fraiche turned to c3ms and BrightSign to create a digital menu board display to help it stand out in an area crowded by many other food vendors. Patama is motivated by the near-instant success of this initial digital menu board installation and plans are now underway to retrofit her three other establishments in the San Francisco Bay Area.